During the dog days of summer I’m all about no-fuss recipes that practically prepare themselves. 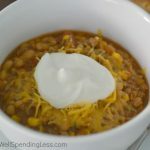 This delicious white bean chili whips up in minutes with just a few basic ingredients, is crock-pot friendly, and makes enough to feed a crowd. It also freezes beautifully which makes it the perfect recipe to include as part of a freezer cooking day, or simply divide it into bags to eat some now and save some for later! 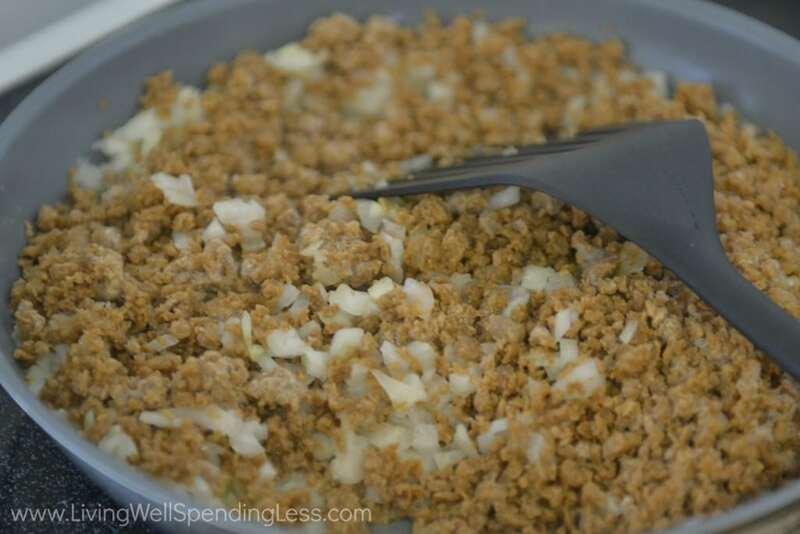 I made it vegetarian friendly (and much lower in calories) by using vegetarian crumbles instead of beef but if your family prefers ground beef, it is delicious either way! I like serving it with some jalapeno corn bread, sour cream and cheddar cheese. 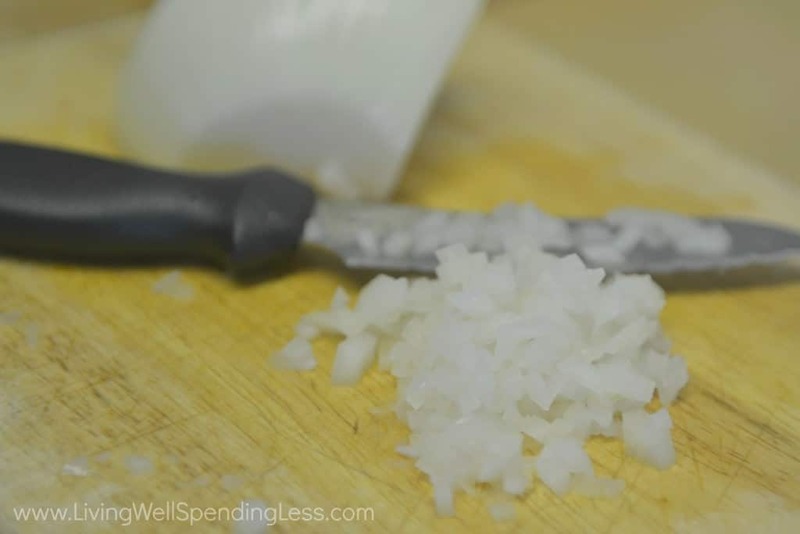 Step 1: Chop onion , set aside. 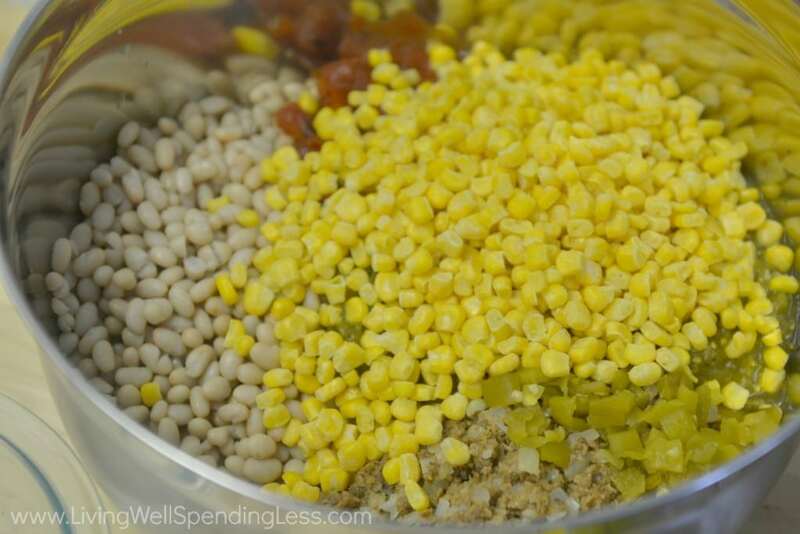 Step 3: Rinse and drain white beans. 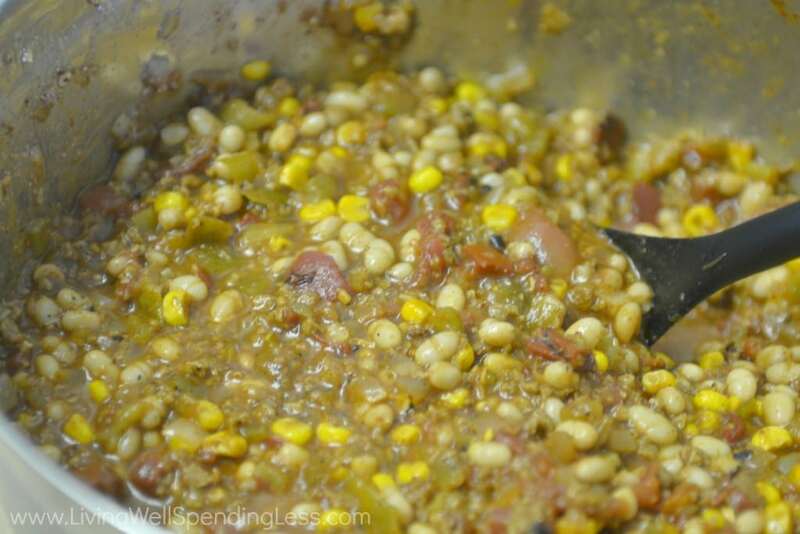 Step 4: Combine meat, onions, beans, corn, tomatoes, diced chilies, salsa verde, and chili mix. Add stock if needed for extra moisture. Step 5: Divide mixture into two gallon-size freezer bags (be sure to label bags first!) Freeze until needed. Step 6: Cook in slow-cooker for 3-4 hours on low. Step 7: Serve with sour cream, cheddar cheese and jalapeno corn bread. 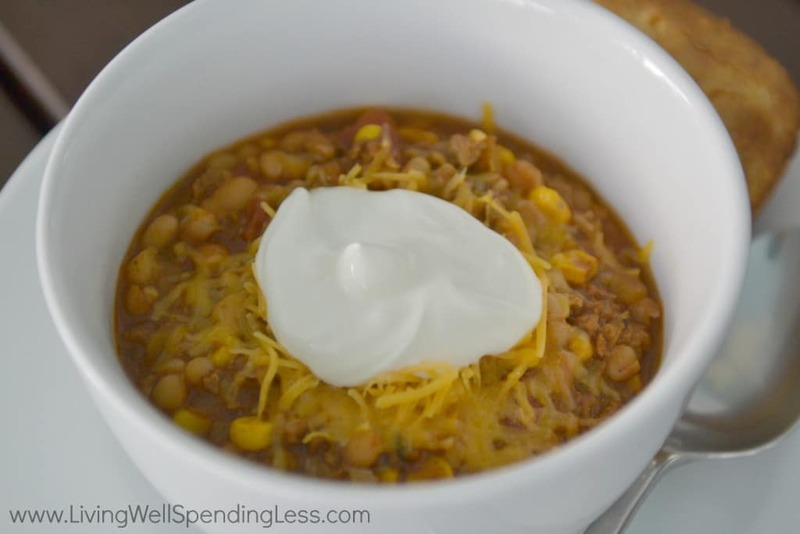 This vegetarian friendly chili is hearty enough for meat lovers too! Chop onion , set aside. 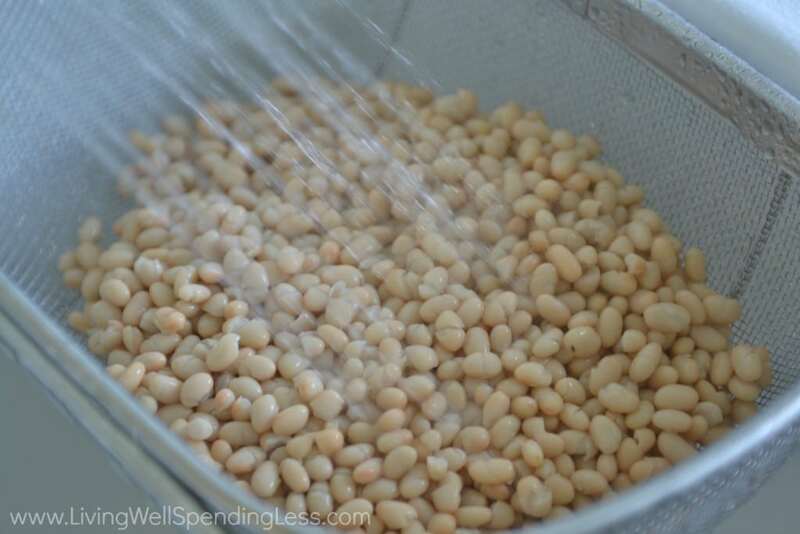 Rinse and drain white beans. 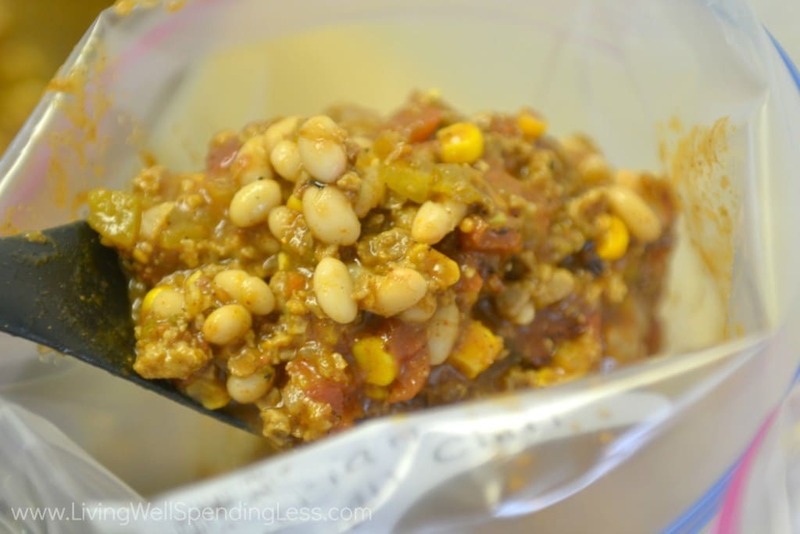 Combine meat, onions, beans, corn, tomatoes, diced chilies, salsa verde, and chili mix. Add stock if needed for extra moisture. Divide mixture into two gallon-size freezer bags (be sure to label bags first!) Freeze until needed. 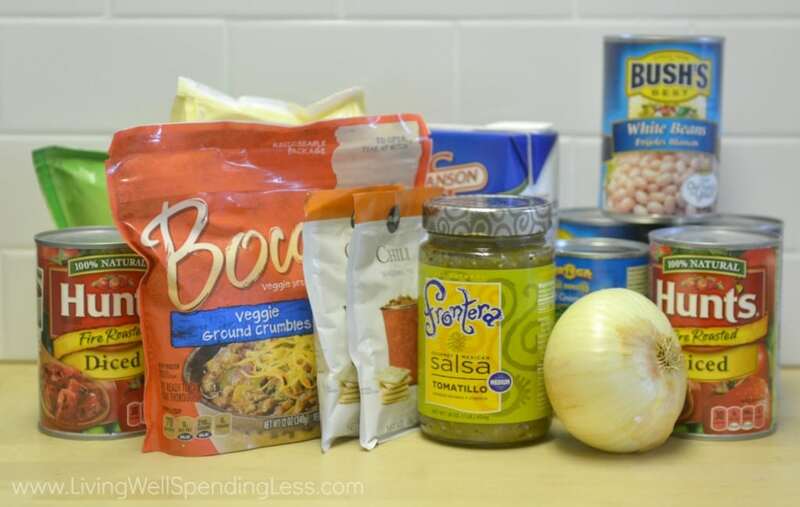 Cook in slowcooker for 3-4 hours on low. 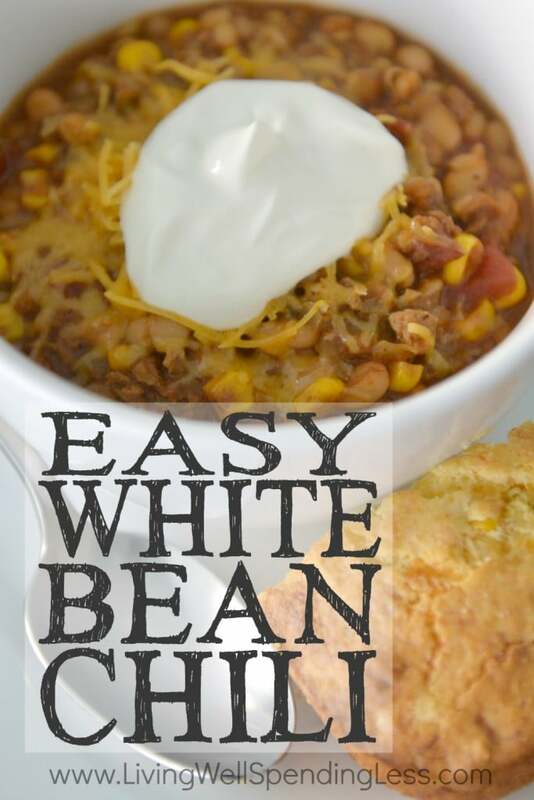 Serve with sour cream, cheddar cheese and jalapeno corn bread. I love making chili! It lasts a few days and it’s great for lunches too. This looks tasty, it’s making me hungry! Haha. Happy Wednesday! 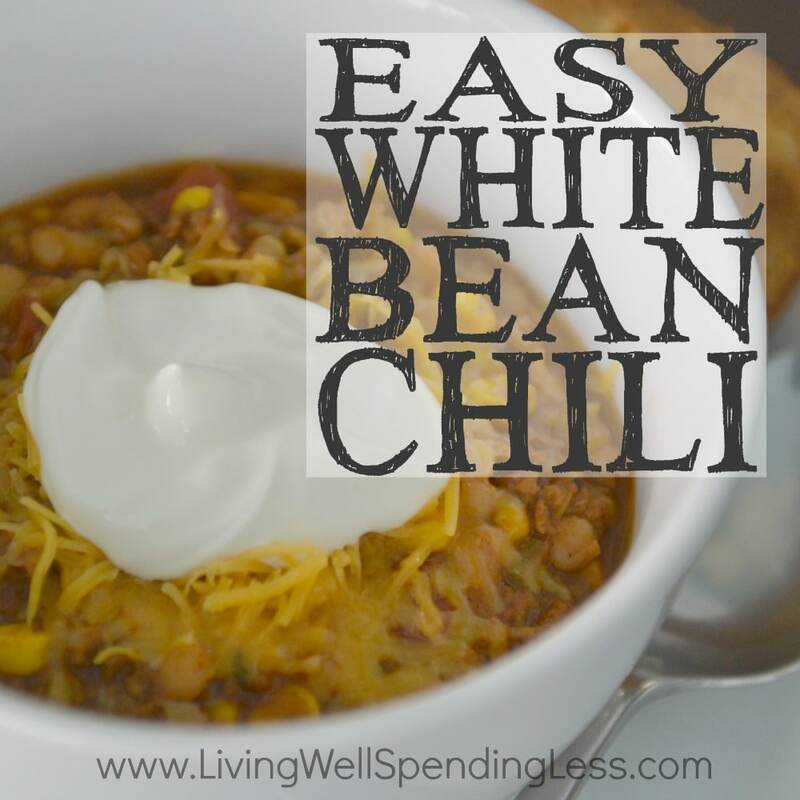 We’ve been craving chili lately – Looks delicious!